Marc Camille Chaimowicz, Jean Cocteau (detail), 2003–2006, mixed media, dimensions variable. Marc Camille Chaimowicz's work comes in many guises, from paintings and sculptures to wallpaper designs, furniture, and much else besides, but this exhibition is anything but a one-person show. As its title, “. . . In the Cherished Company of Others . . . (1648–2036),” suggests, Chaimowicz is exhibiting in company with artists whose work he admires, including Tom Burr, James Lee Byars, Michael Krebber, Gerrit Rietveld, Elsa Schiaparelli, and an anonymous seventeenth-century jeweler. 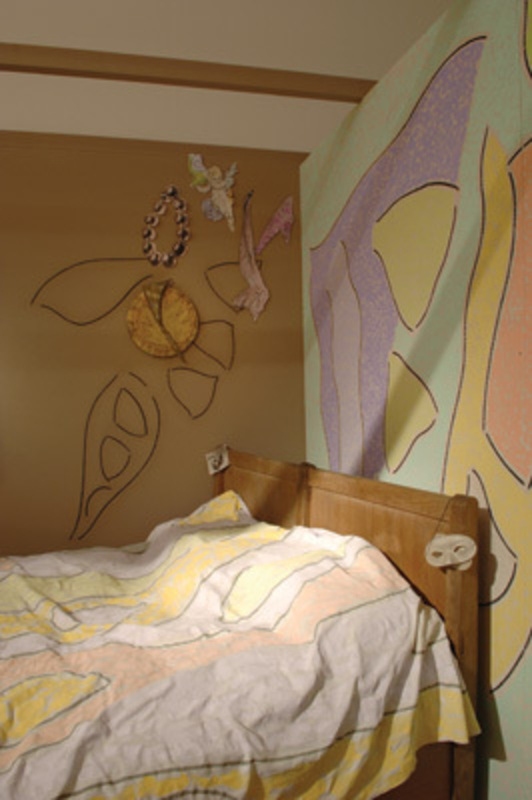 His Cocteau Room (Jean Cocteau, 2003–2006), a complex homage involving a dozen other artists and designers, also forms part of the exhibition. Organized with the help of a curator, Alexis Vaillant, described as a moderator of the dialogues that underlie the show, the endeavor promises a conversation of rich and unforeseeable potential. Travels to the PMMK, Museum voor Moderne Kunst, Ostend, Belgium, Sept. 26–Dec. 15.